Many derailleur chains use a “master link” that allows the chain to be installed and removed by hand. 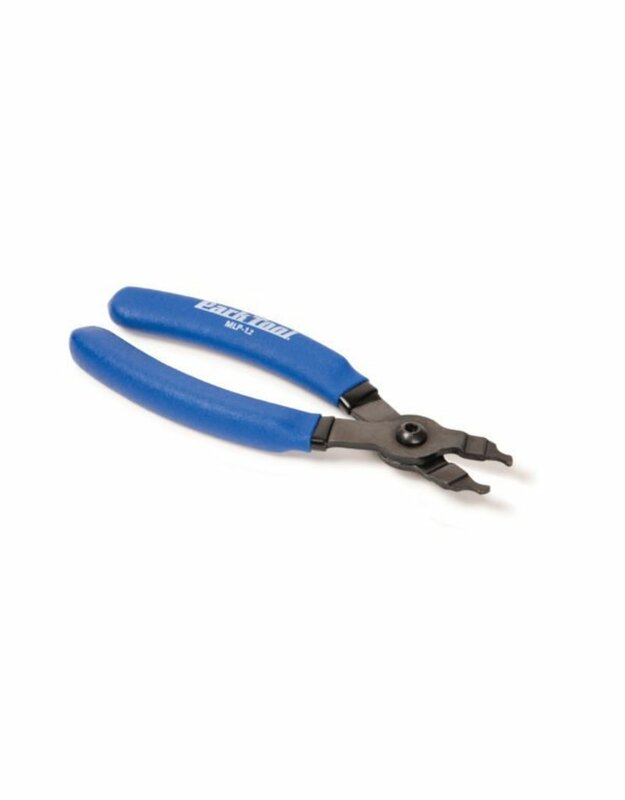 While this type of masterlink doesn't require a traditional chain tool, over time, dirt and corrosion can make it difficult to separate by hand. MLP-1.2 Master Link Pliers make removal and replacement of these masterlinks quick and effortless. Simply insert the specially sized jaws into the masterlink and squeeze the handles. Compatible with all 5, 6, 7, 8, 9, 10 and 11-speed derailleur chains that use a masterlink.